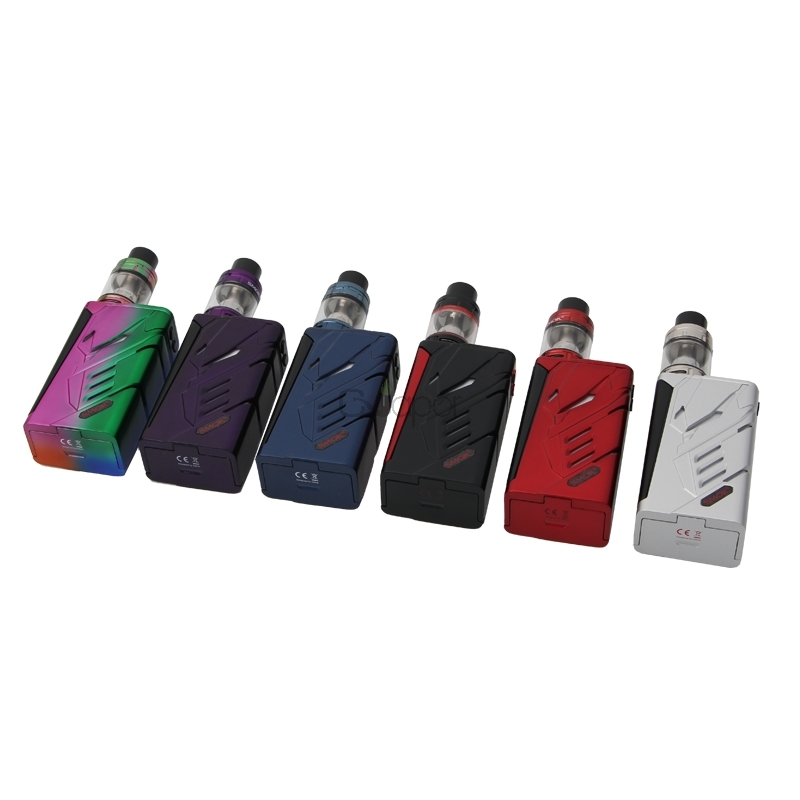 The T-Priv kit comes with the fashionable and modern hollow out design. 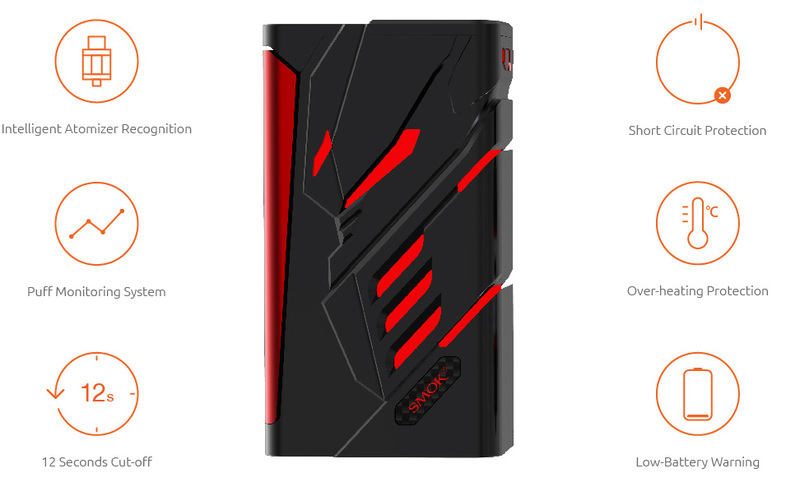 The mod is powered by dual 18650 batteries and can be up to 220W output power. 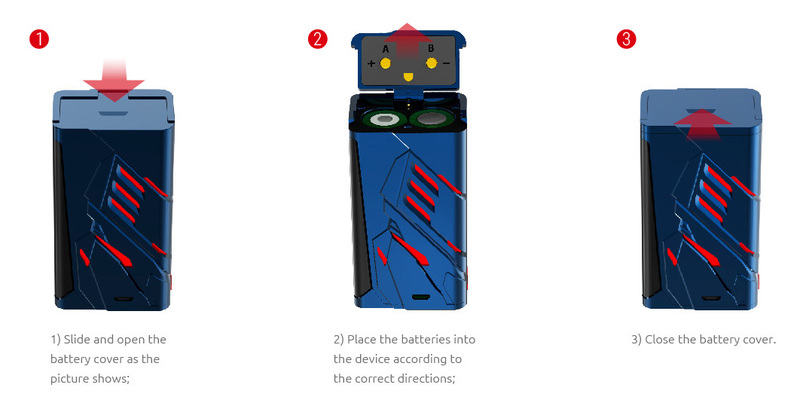 It also supports two modes to switch: TC mode and VW mode. 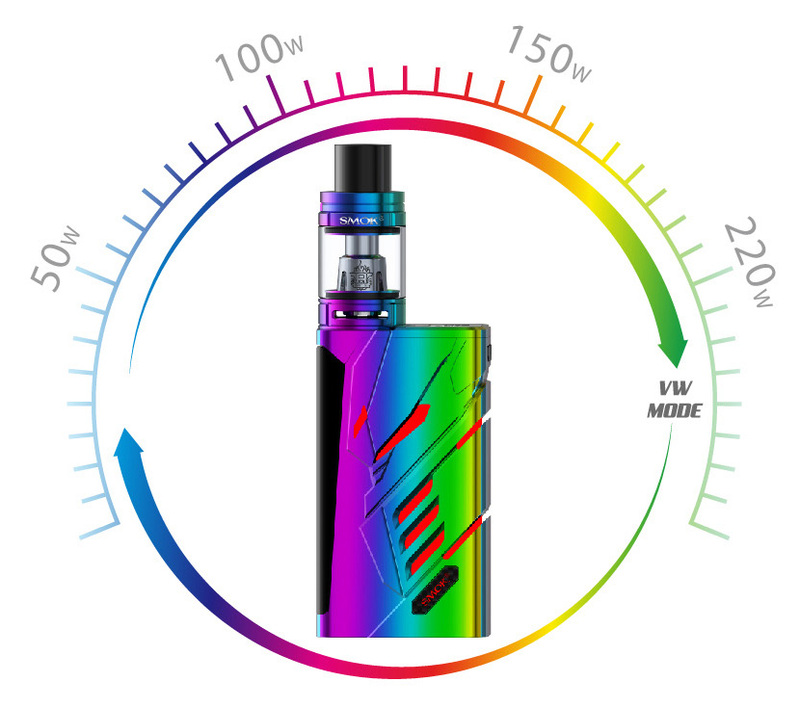 Adjustable LED brings more enjoyment during your monotonous vaping life. 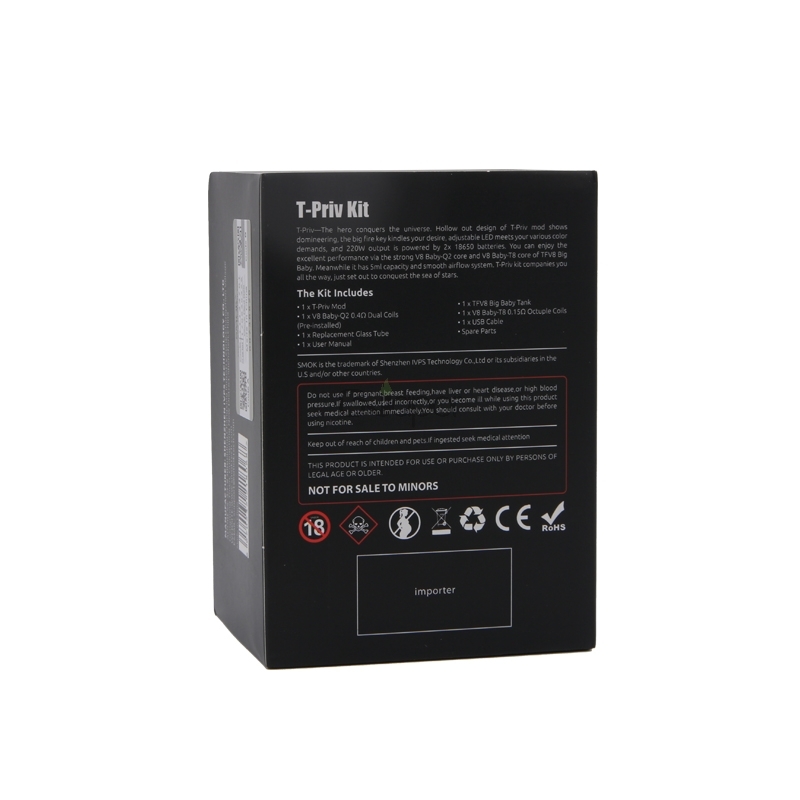 The TFV8 big baby tank features 5ml large liquid capacity. 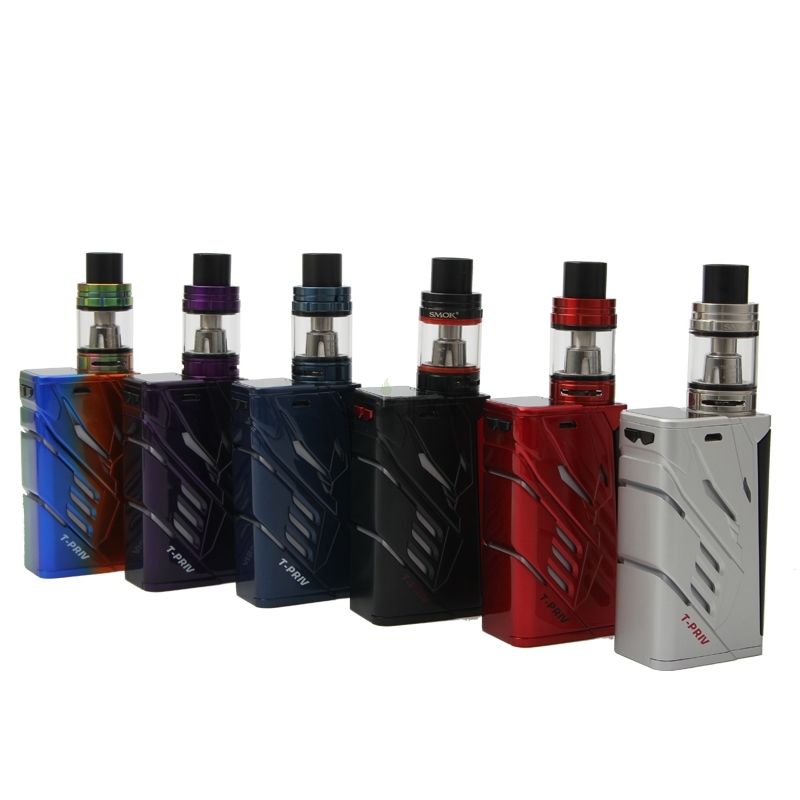 The adjustable airflow and top filling design will provide a perfect vaping experience. You can enjoy the excellent performance via the strong V8 Baby-Q2 core and V8 Baby-T8 core. T-Priv kit companies you all the way, just set out to conquer the sea of stars. Innovation keeps changing the vaping experiences. Swietny box , robi duże wrazenie i działa bardzo dobrze .polecam!